We specialize in bringing you the best in service and supplies. Our factory trained personnel are at your service, ready to handle all of your computer and printer needs. From equipment consultation to complete office setups including network. Single unit repairs to whole office maintenance contracts that will guarantee you no downtime. Our techs are qualified to make repairs and upgrades on-site. We can also train your staff in all aspects of working with any equipment we service. 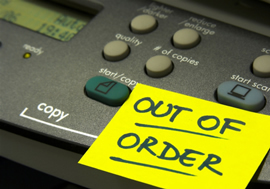 We carry a complete line of both new and remanufactured supplies for laser, inkjet, copy machines, and faxes. All of our products have been tested and meet the highest industry standards. All products come with our 100% money back guarantee. Please take a moment to browse our web site. We are dedicated to customer service, and we're sure that once you have tried us, you'll find that you get more for your money than at any discount office supply.